When Komz Muthyalu ’20 arrived at the University of Redlands as a first-year international student, she noticed that there wasn’t a particular place for students like her. Two years later, Komz has re-chartered the Redlands International Student Association (RISA)—an organization for students from around the globe. Born in India and raised in Dubai, Komz grew up visiting the United States and knew that she wanted to attend a university in California. After developing an interest in engineering, she was intrigued by the U of R’s 3-2 program, but, after taking a few classes, she realized it wasn’t the right fit. Due to her lifelong affinity for technology and how it affects the way people live, learn, and work, Komz declared an emphasis in digital transformation and business strategy through the Johnston Center for Integrative Studies. In addition to her coursework, Komz made it a personal mission to get involved in the campus community. In 2016, she reached out to Director of International Recruitment Kenley Jones and asked if she could do anything to help increase the population of international students on campus. Jones connected her with a number of prospective students, and Komz volunteered her time to talk with those students about the University and why she chose to enroll. When staff in the Office of International Students and Scholars (OISS) caught wind of what Komz was doing, they asked for her help recruiting prospective applicants and connecting current international students with each other. As the office’s global programs assistant, she talked and worked with these students and decided to resurrect RISA. 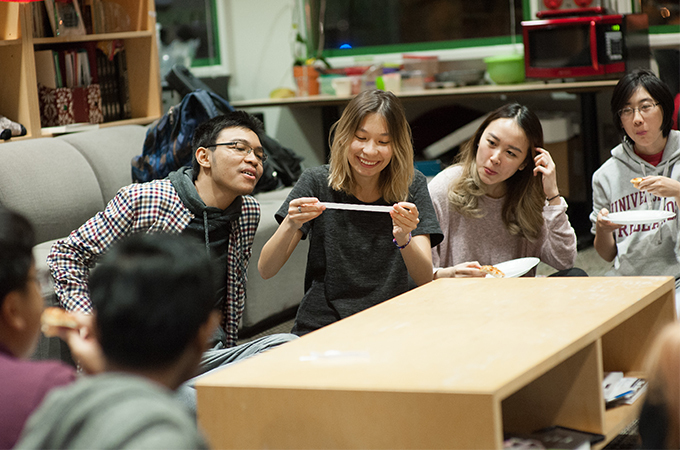 In November 2018, when RISA was reforming and holding preliminary cabinet meetings, the group hosted a karaoke night that encouraged students to gather and bond over songs in different languages. A group of students sang an old Soviet rock song, which Wuhs says was a particular highlight. “It was really cool to witness their ability to establish common space,” he says. In addition to hosting fun, intercultural events, Komz says she wants to focus on improving the international student experience. Students with visas aren’t permitted to work off campus, which can make it difficult to support themselves financially. Asking for space to store belongings during the summer and improving work opportunities are two of Komz’s priorities. 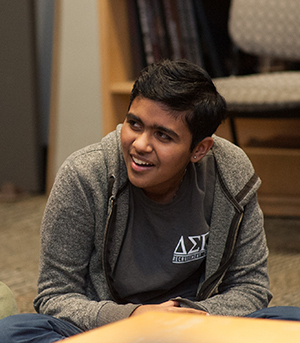 RISA’s mission is to be a space to share different cultures and the practices of those cultures, while building awareness of the international student community on campus and including those students in conversations about representation. Ultimately, the group aims to empower, support, and encourage international students in their endeavors. Currently, the organization has 27 members, seven of whom serve in cabinet positions. On January 29, the group hosted a party to welcome students back to campus for the semester. Open to all students, the event served as RISA’s first official meeting.